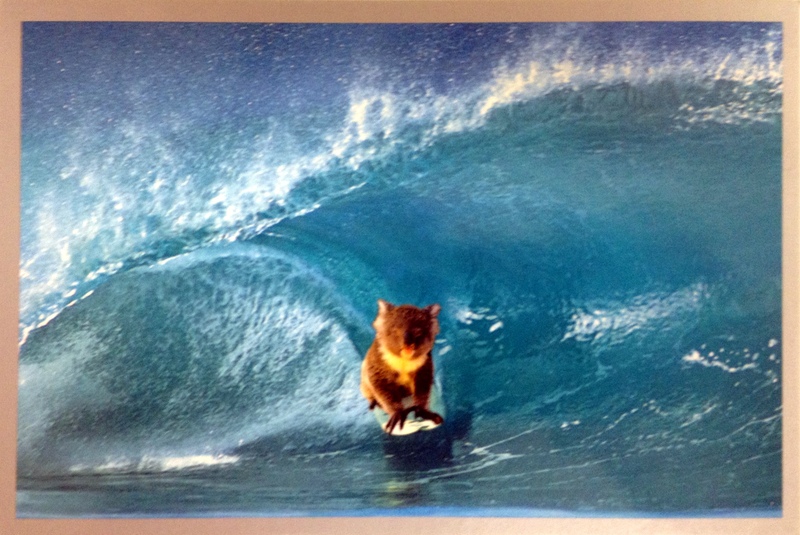 Even though a surfing koala is pretty well-established international code for “11 day trip to Australia,” I’ll spell it out. I recently took an 11-day trip to Australia! 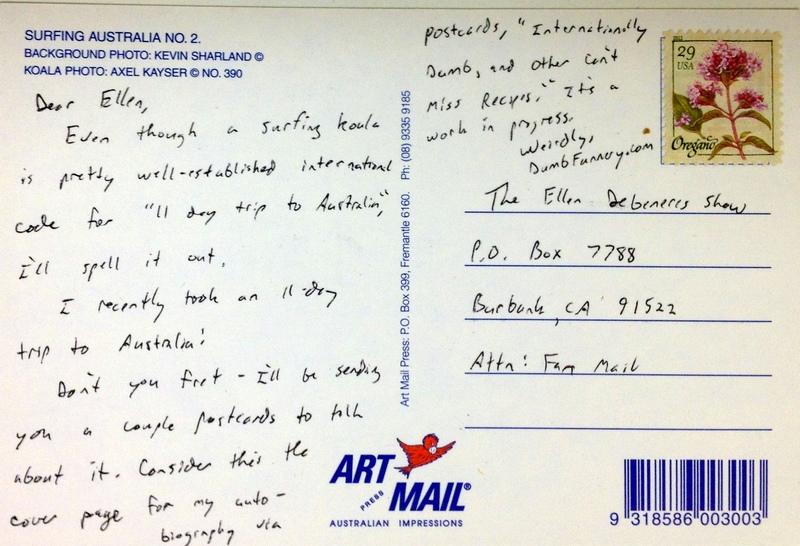 Don’t you fret – I’ll be sending you a couple postcards to tell about it. Consider this the cover page for my autobiography via postcards, “Internationally Dumb, and Other Can’t Miss Recipes.” It’s a work in progress.